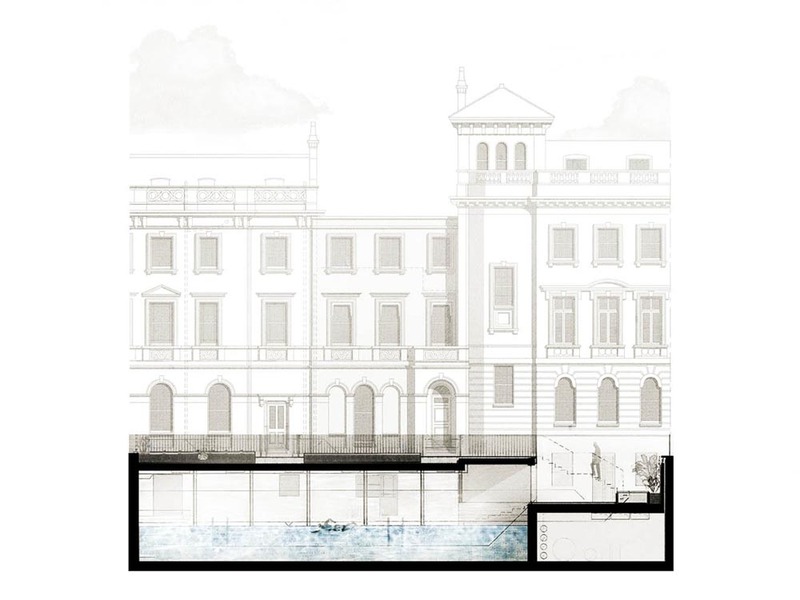 Project summary: A listed building extension and renovation incorporating a basement swimming pool in Notting Hill, Kensington & Chelsea, London. The project is located in the Ladbroke Conservation Area. This project involved the refurbishment, re-planning and extension of three Grade II listed town houses in Notting Hill, which had previously been amalgamated into a single family house. Working closely in conjunction with another architectural practice, listed Building and planning approvals were secured for the following interventions. These were carried out in conjunction with re-planning the existing layouts, to improve the existing link between the properties. The creation of a new below ground swimming pool beneath the joined garden areas. The installation of a new lift. The creation of a second floor central extension, traditionally styled to remain in-keeping with the existing house.